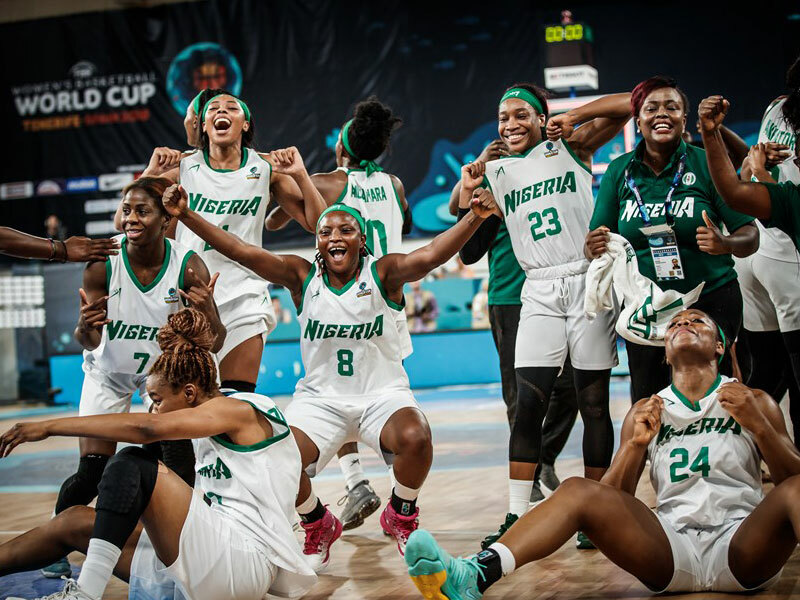 As Nigerians are still celebrating D’Tigress’ defeat of Greece and the qualification to the quarter finals of the ongoing FIBA Women’s World Cup in Tenerife, Spain Thursday, team Captain, Adaora Elonu, has promised that more feats are in the making. Against all odds, Nigeria became the first African country to qualify for the last eight stage of the World Cup after defeating Greece by 57 points to 56. Despite D’Tigress 15 to 7 points lead early in the game, the Greeks clawed their way back into reckoning to tie the contest at 15 points heading into the 2nd quarter. The progression thus means that D’Tigress will be up against defending champion, USA, Friday. But Elonu has assured teeming Nigerian followers of the tournament that the team will prove a hard nut to crack against the red-hot favourites. “It may look like fairy-tale for everyone because we did not know what to except from the World Cup as none of us had been here before. It’s just a ride that we are taking and I’m happy for us because we’ve been through a lot and our motto was to stay together and we stayed together,” remarked the Euro League Women regular moments after the win against Greece Thursday. “Greece is a really tough team. I don’t know how we pulled it off, but I’m beyond happy and proud. It ranks really high in my career (as a win) just because of this group of girls. They are my family. “The national team is who you are and your culture. It just resonates so much stronger than any other team – not to take anything away from any other team. “But here, the girls, what we’ve been through and what we’ve had to fight through just to get here, preparations, treatment – it’s been really hard. “But the way that we stick together and have fun off the court, on the court, this is just a great moment and when we face USA in the next match, we hoped to hold ourselves together and as a unit it is possible,” she remarked. Elonu was also quick to hand credit to coach Otis Hughley Jnr for the way he has organised the unit on the floor for this global test. “We own our coach a lot because the mentality with which we are playing so far in this competition is quite different meaning coach Hughley no doubt had made a huge progression to the team,” she pointed out. The win yesterday in the biggest of Spain’s Canary Island had elevated the Nigerian team from mere participant to a major force at the on going event. Having beaten European powerhouse Turkey earlier in the week, they not only followed it up against Argentina, they made a Euro-double by pipping Greece with a point margin in a dramatic quarter final berth. In the tension soaked match, Sarah Imovbioh replaced injured Aisha Mohammed who until her injury had been sensational for Nigeria averaging 10 points per game. Kalu Ezinne and Evelyn Akhator led the D’Tigress scorers chart with 14 points while Promise Amukarama weighed in with 13points. Akhator once again emerged the top performer for the team with 14 points, 13 rebounds, 4 steals and 2 assists. With about 30 seconds to the end of the game and Greece leading by a point, Elo Edema caught a rebound before being fouled. She converted the resulting 2 free throws to give the D’Tigress 57points to 56 lead. The game which was only tied in the first quarter saw the D’Tigress end the 2nd, 3rd and 4th quarters (31-26, 48-37, 57-56) as winners.